As an Iron Man athlete, an international traveler and a full-time college student, 18-year old Shpresim Haxhaj barely resembles the shy young man who first came to CUNY Prep in 2009. He left his former high school because he was under-credited, overwhelmed and felt like he would never catch up. “Before CUNY Prep, I was a kid who had weight problems, no confidence, was anti-social and had lost all hope in life,” says Haxhaj. “At 15-years old, I was in the seventh grade and the stigma was too much for me to bear, so I gave up on school,” he says. Haxhaj graduated from CUNY Prep in July of 2010 and enrolled in Hostos Community College. In the fall of that year, he had the opportunity to travel to Berlin with a group of other CUNY Prep graduates to participate in the Bronx Berlin Cross Cultural Youth Exchange Program. The group got a chance to collaborate with German rappers, learn about the culture and history of the city and even recorded a CD of original work in a professional studio. Haxhaj says the experience changed his perspective. He turned one of those dreams into reality in September, when he finished his first Ironman Triathlon, consisting of a 1-mile swim, 56-mile bike, and a 13-mile run. 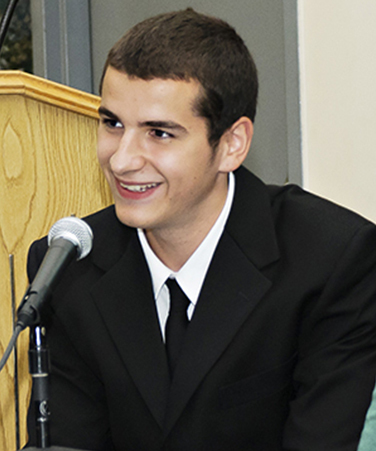 Haxhaj is on track to graduate from Hostos in the spring of 2012 and plans to transfer to a University. As far as what is next for him, he’s keeping a growing list.